All of the 2017 Halloween merchandise is going fast in various retail stores throughout the country, and our nearest Target has some truly monstrous new stuff this year. 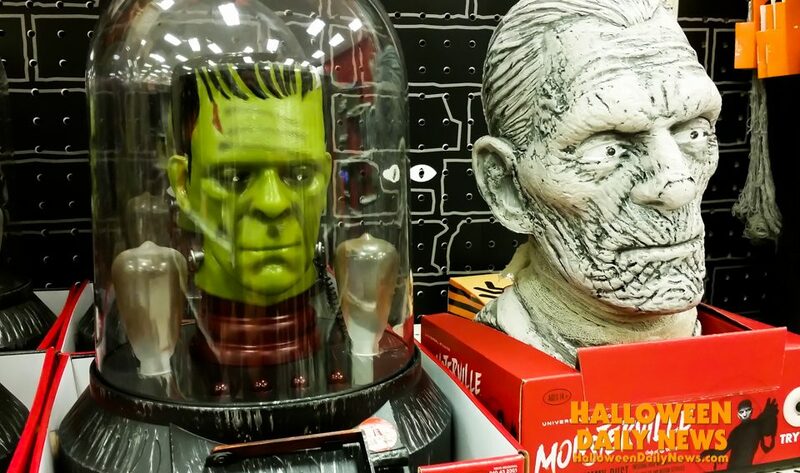 Among the highlights of the 2017 items we found were from Universal Studios’ awesome new Monsterville collection, including masks and costumes based on the classic monsters like Frankenstein, Bride of Frankenstein, The Mummy, The Wolfman, and The Creature from the Black Lagoon, and various decorations and creepy cool animatronics. You can watch our video walkthrough of the Halloween 2017 merchandise at Target below, and then scroll down to view some more highlights in our photo gallery!